Without doubt, Bangkok is a shopping haven especially for Singaporeans. 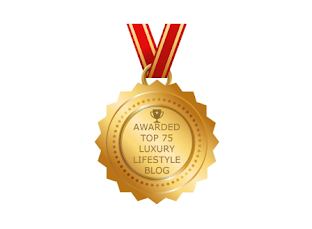 If you enjoy shopping in Bangkok, be it cheap buys or luxury hunts, you will love this post with all the directions mapped out for you. 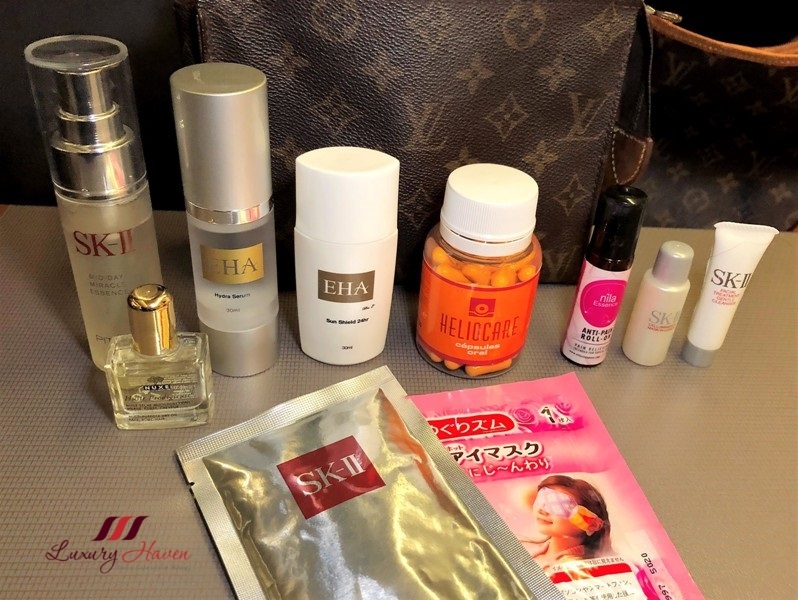 Well, I have just gotten back from Bangkok last week, and I am really excited to share my latest findings with you guys. Other than couple of Daiso outlets I had spotted, there are also few other interesting shops I found this time like the newly-opened LINE Village Store for LINE Chat character fans, and the One Piece Mugiwara for the Japanese anime chasers. 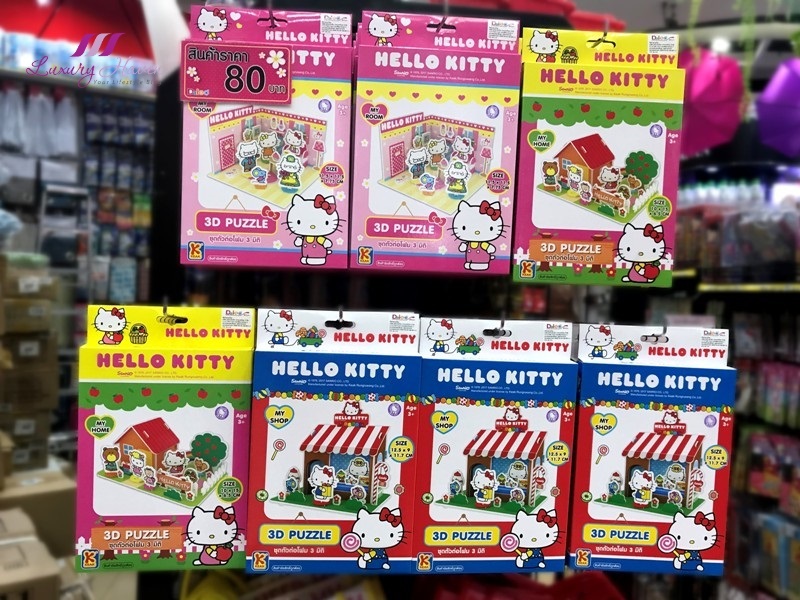 Go shopping like a pro as I take you via Bangkok’s BTS Skytrain along the Sukhumvit Line, hopping from station to station to discover shopping malls as well as enjoying a delightful Afternoon Tea or pop by the Sanrio Hello Kitty House Bangkok. Come, let's start off with Siam BTS Skytrain Station as our first stop! Are you a fan of the Japanese LINE Chat? 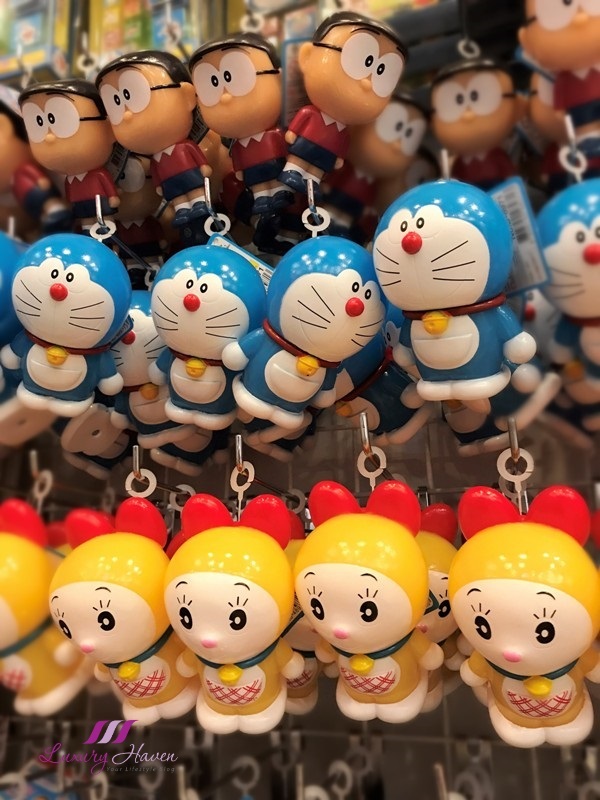 Well, tourists to Bangkok can now find characters from the LINE chat app at the LINE Village Bangkok, a 3-storey 1,500 sqm indoor theme park on the 1st floor of Siam Square One. 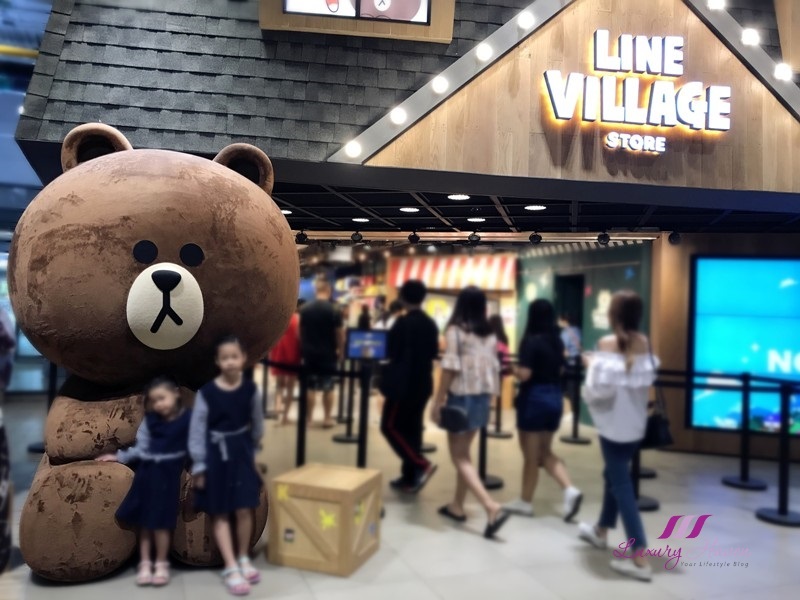 There are 45 Line Friends stores and cafes in major cities around the world but apparently, Line Village Store is the new business model and Bangkok is the first in the world to have this. 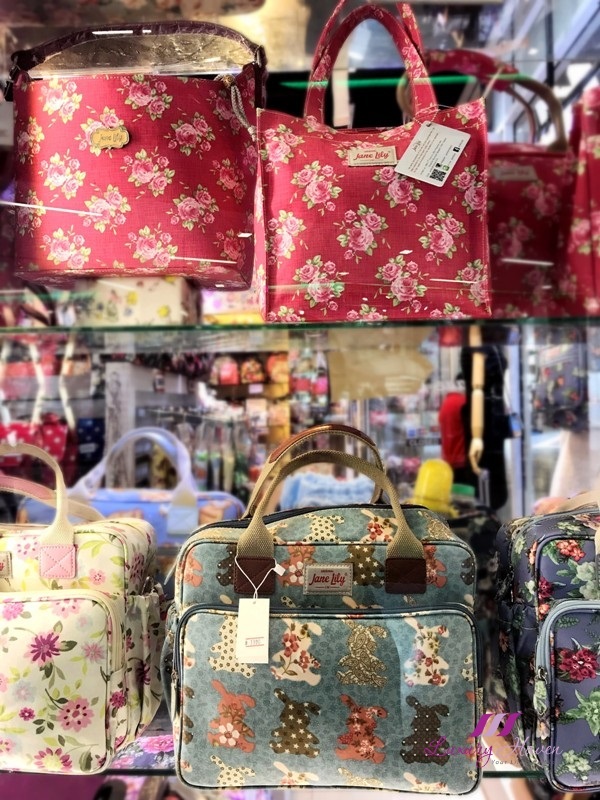 If you love collecting Vintage English Country-Styled Thai Bags, check out Jane Lily Factory Outlet Store in Siam Square One. Jane Lily carries different types of canvas bag at affordable prices; everything looks so sweet and dainty in this store. 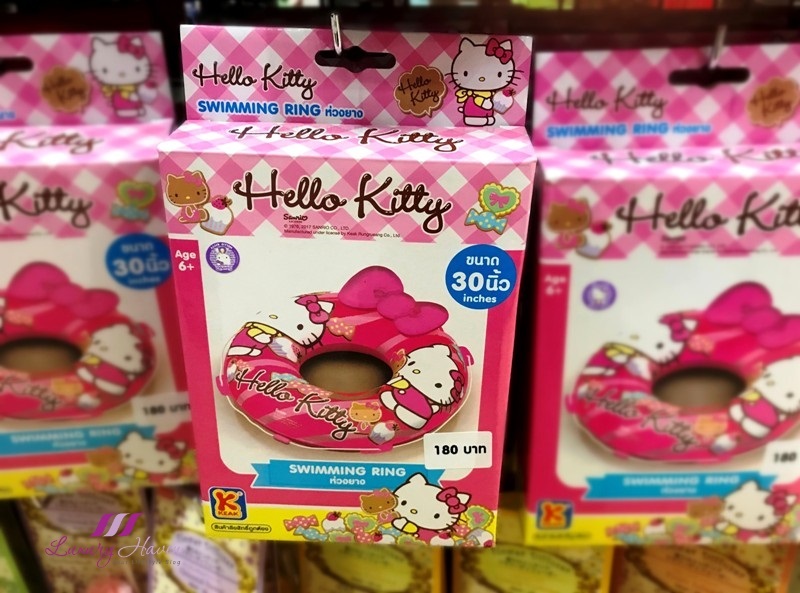 For Hello Kitty followers, you may like to check out the Sanrio Hello Kitty House Bangkok nestled on the 1st and 2nd level of Siam Square One. I was there early last year but I think the café is over rated. 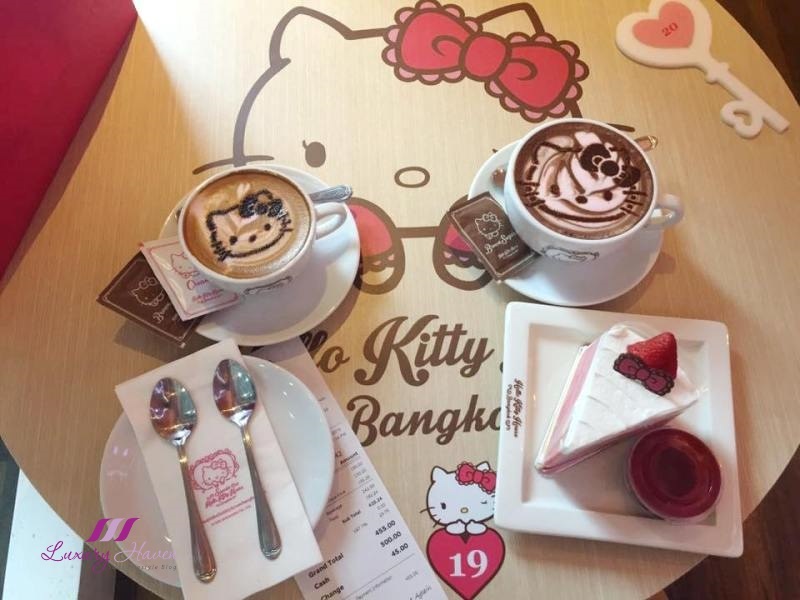 Gotta admit the beverages are cute but the cakes are just ordinary ones with Hello Kitty paper cake toppers on them that’s all. I did not bother to go in this time, not sure if they have improved. Do not go in with high expectation else you will be disappointed. 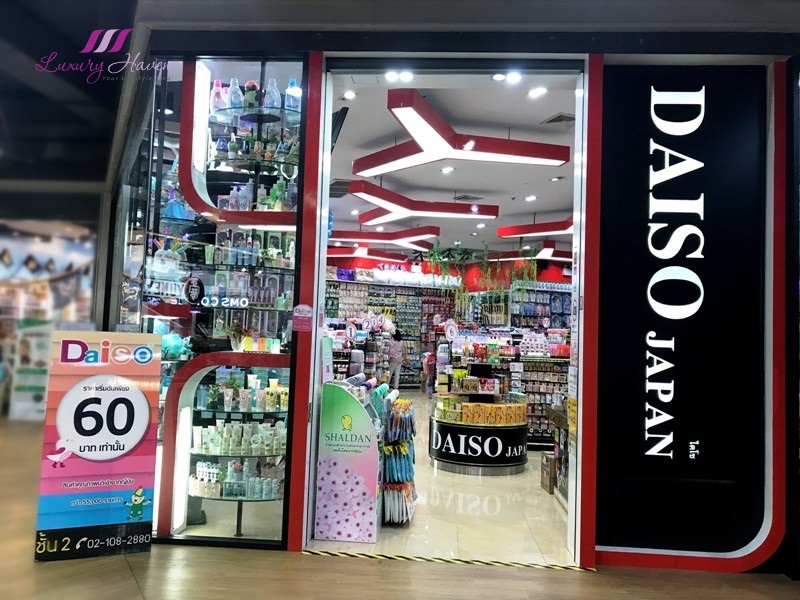 If you wanna go Daiso-ing in Bangkok, there is a Daiso outlet on the 2nd level of Siam Square One. 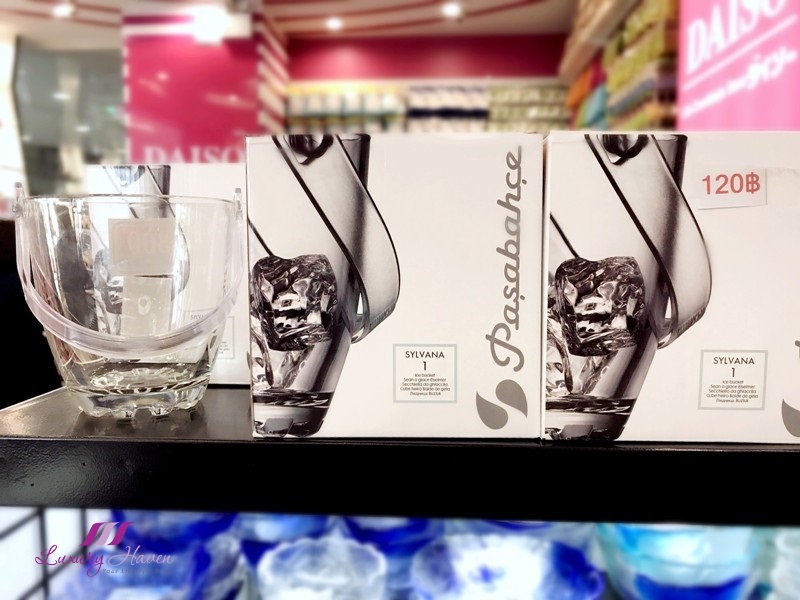 But before you go gaga over the items, do note that Daiso Bangkok is not a fixed price shop like Singapore where everything is going at SGD 2, so make sure you look at the price tags. 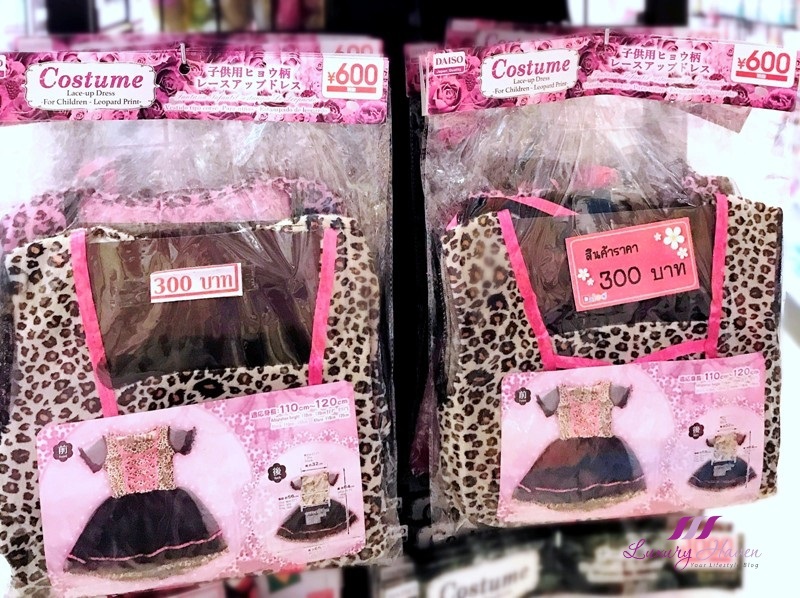 Generally, the items in Daiso Bangkok are pricier compared to Singapore. Be prepared to pay 60 Baht onwards, about SGD 2.50 up. Here at the Siam BTS Skytrain Station, go crazy shopping with 3 malls, namely Siam Paragon, Siam Centre, and Siam Square. With an additional Siam Square One, the latest shopping mall to open in Siam Square, shop till your knees go weak! 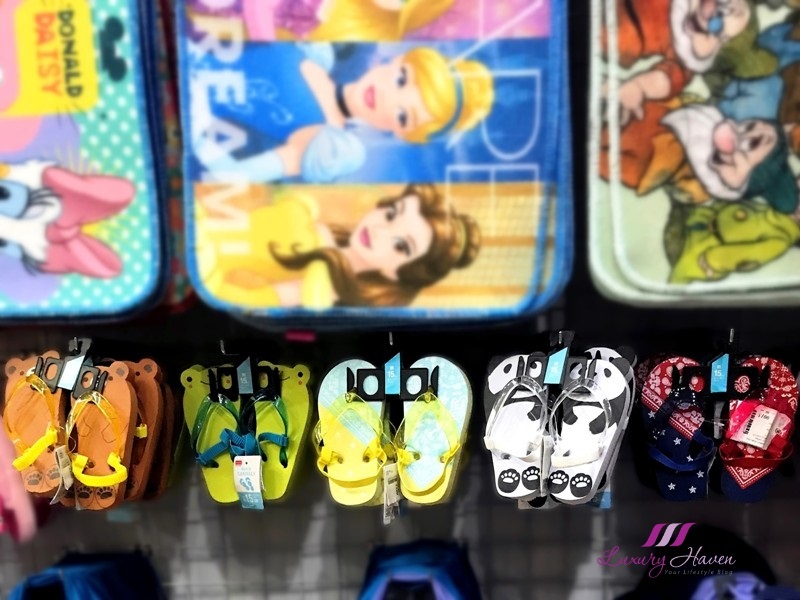 Although counterfeits are almost everywhere in Bangkok, take a short walk to MBK Center ( diagonally opposite Siam Discovery Centre ) if you are not particular about products not being authentic. 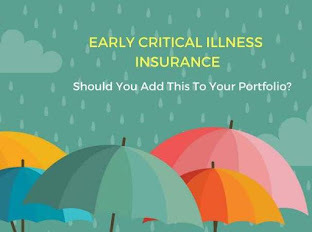 Put your bargaining skills to test here. 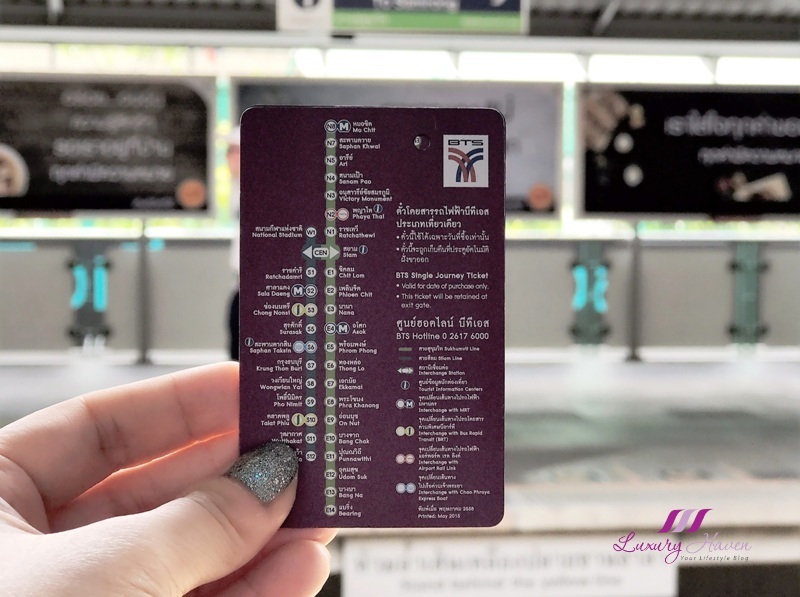 Take a train stop to Chit Lom BTS Skytrain Station next and begin your retail therapy at CentralWorld, a modern shopping complex with Isetan and Zen Central Department Stores. While you are there, visit the famous Erawan Shrine, popularly known as the Four–Faced Buddha. You will have no problem finding the shrine; it is easy to spot from the Chit Lom BTS Skytrain Station Skywalk. After CentralWorld, you may like to catch a taxi or take a short walk to Pratunam Market, another souvenirs haven for bargain hunters. Also check out the Platinum Fashion Mall and Palladium World Shopping Mall, known for their wholesale prices. Be sure to take along a trolley bag to fill in your bargains, you do not want to miss this two malls! Next off, I would like to draw you to the Ploenchit BTS Skytrain Station where Central Embassy resides. This is Bangkok’s newest ultra-luxury lifestyle mall, which also boasts an exclusive cinema on the 8th floor. 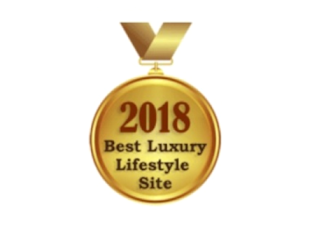 But if you are not into designer shopping, hop over to the 5-Star Okura Prestige Bangkok, home to the famous Okura Afternoon Tea at Up & Above Restaurant & Bar. Currently, diners can either opt for The Okura Afternoon Delight or their Lavender Delight Afternoon Tea, priced at just Baht 1,190++ for two pax. Taking the Sukhumvit Line to E5 Phrom Phong BTS Skytrain Station will bring you The Emporium Bangkok. One of my favourite shopping malls in Bangkok, the sophisticated 6-storey shopping centre in Sukhumvit houses international brands. 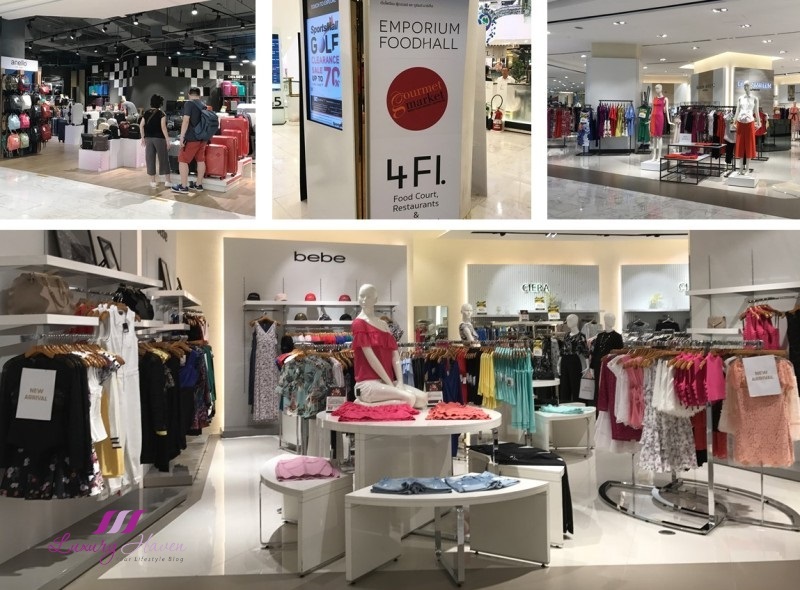 Just opposite The Emporium, you will find another luxurious shopping mall – the EmQuartier Bangkok opened in March 2015. Just next to Emporium directly below Phrom Phong BTS Skytrain Station, you will find the famous NaRaYa, renowned for its fabric ribbon bags and accessories. Made from cotton, canvas and satin with their signature fabric ribbons, their shops are always packed. 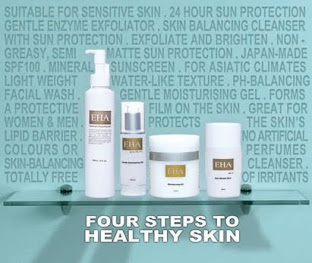 You may like to know that NaRaYa flagship store can be found on the 3rd floor of Siam Paragon. 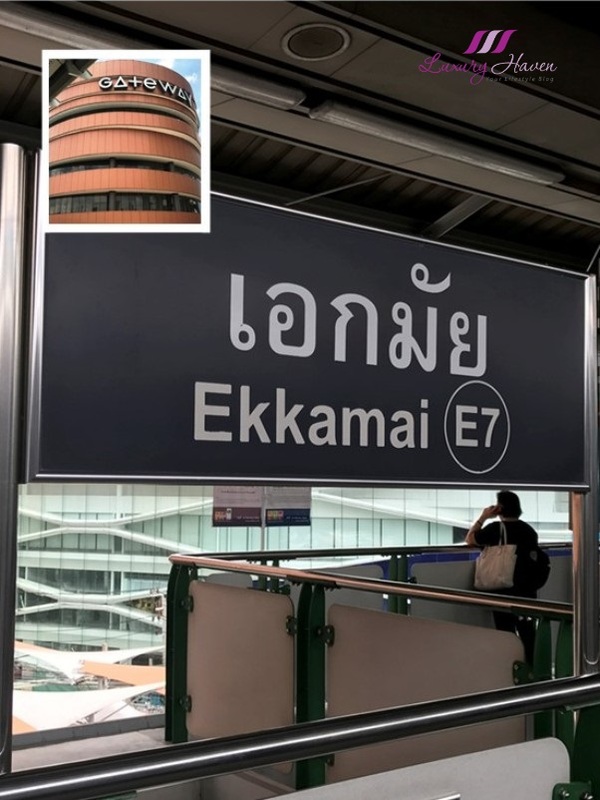 Located right at the Ekkamai BTS Skytrain station with a bridge linking to the mezzanine floor is a is a Japanese themed shopping mall in Bangkok; the 8-storey Gateway Ekamai mall proudly calls itself a “ Japanese Lifestyle Mall ”. Fans of One Piece ( ワンピース ), a Japanese manga series featuring Straw Hat Pirates, will be delighted to know that there is a One Piece Mugiwara Bangkok Official Store located on the 2nd floor of Gateway Ekamai, the second international One Piece store, following one in Taiwan. 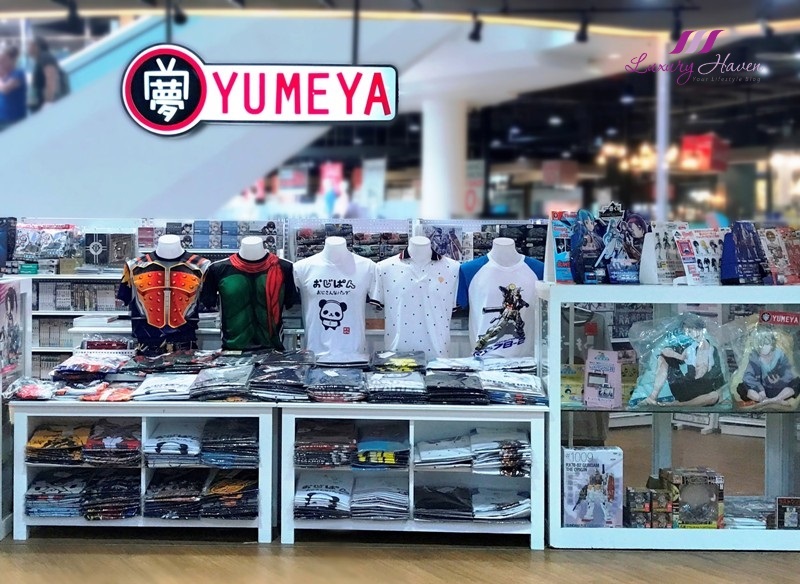 There is also the Yumeya ( 夢屋 ) hobby store, a cool Japanese manga and anime store on the 2nd floor of Gateway Ekamai. Here, you can find authentic anime figurines, and Gundam merchandise etc. My son is a Gundam fan, and I was lucky to find Gundam t-shirts on sale that day. Originally priced at 690 baht, they were going at just 199 baht! 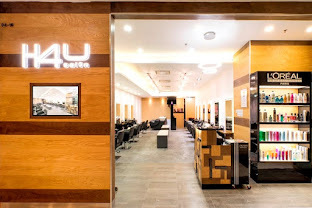 If I am not wrong, they also have outlets in Central World and Terminal21 shopping center. Line Village Bangkok, a 3-storey 1,500 sq m indoor theme park. CentralWorld, citing as the 10th largest shopping complex in the world. Central Embassy, Bangkok’s newest huge luxury mall. Okura Prestige Bangkok’s Afternoon Tea. Well, I hope you have found the above guide informative. I had written about my bargains at Shopping and Italian Food in Bangkok some years back. Although it is an old post, the shops are pretty much the same except for prices. A true shopping haven. I am missing Bangkok now. I love shopping alin Daiso. Hi dear. I m following you would you like to follow back? Shirley, nothing excites me more than LINE Chat! I even follow their comics and own several items with LINE's famous characters - Cony, Brown and Sally ^.^ So happy to see this store. Daiso? 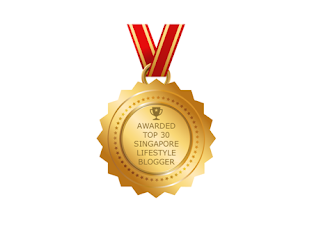 Don't saylah - favourite but of course I wouldn't shop there unless I see something I like that I can't get here. Happy to read of your wonderful holiday. Good findings! Shooping paradise indeed. I DO love to shop and hope to get to Bangkok one day! 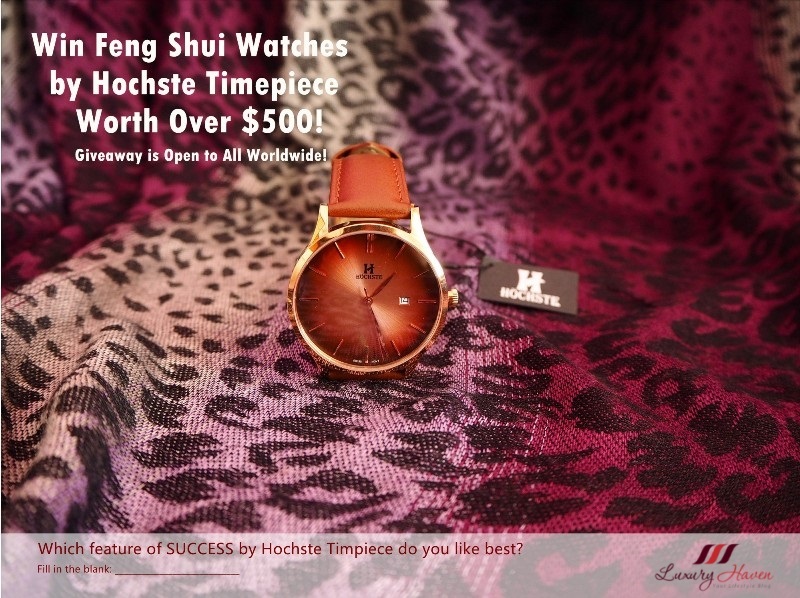 You found some marvelous shops! 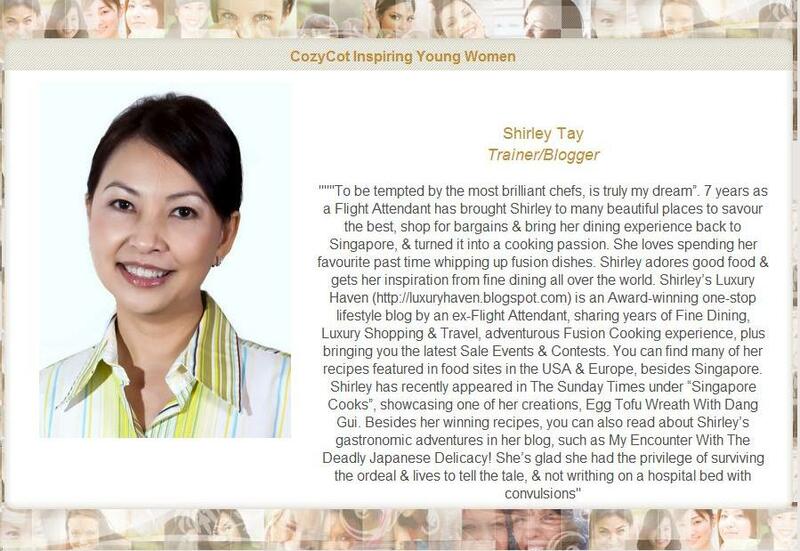 So many lovely and cute things, Shirley! How amazing. I had no idea Bangkok could be so exciting in terms of shopping too. Thanks for this guide Shirley. Bangkok is a haven for food and shopping for every tourist. I have stopped shopping Shirley. Impulsive buying, buying for no apparent reason or call if greedy eyes syndrome. But sure, its nice to explore shopping paradise which I did when I was in Bangkok. We have many Daiso stores here, a whole of stuffs as well. Such a lovely shopping place!!! Hi Shirley, thanks for the shopping paradise tour... can burn a hole in the pocket. hihihi.... Love the luxury afternoon tea, look awesome. Sorry to hear the Hello Kitty café didn't impress, as it looks super cute haha. I love your sparkly manicure by the way!! 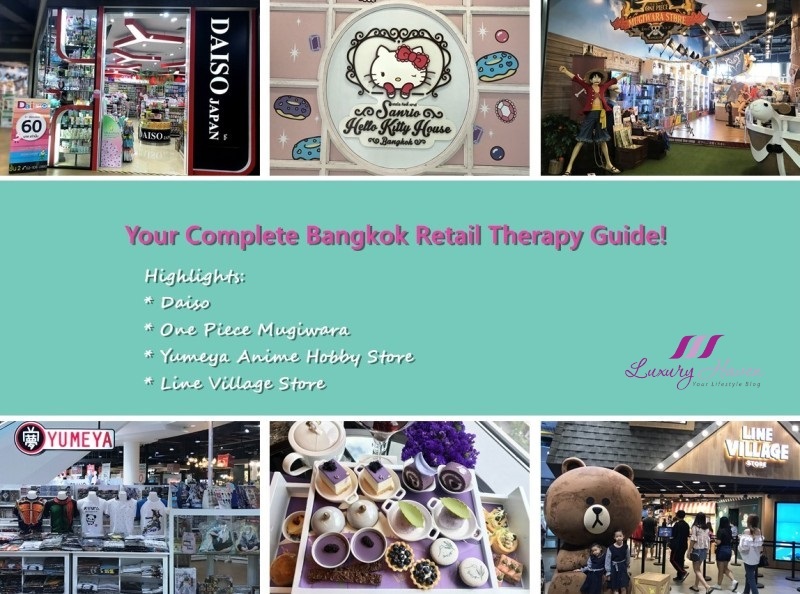 I have never been in Bangkok but I'm sure that I would enjoy shopping there:) Thank you for this shopping guide. What floor is the lily Jane factory outlet at? Any idea?